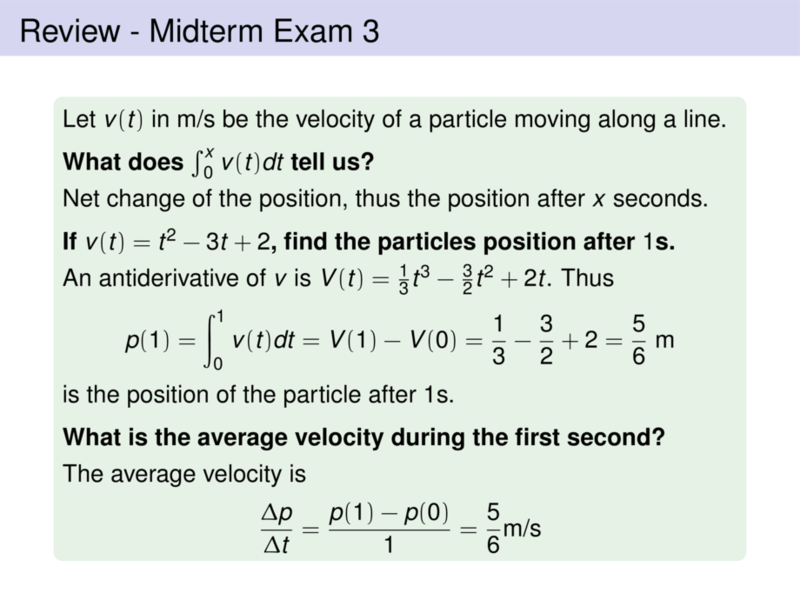 Let $v(t)$ in m/s be the velocity of a particle moving along a line. Net change of the position, thus the position after $x$ seconds. is the position of the particle after $1$s.